Thuraya Telecommunications Company will be showcasing a diverse range of maritime, voice and data products and services during the upcoming Offshore Patrol Vessels Middle East event (OPV) at Booth 11. Held from October 9 to 11 in Kuwait City, the summit is a leading, annual gathering of maritime and defense stakeholders,and is focused on naval surveillance and offshore patrol vessels. In its 6th edition, OPV Middle East this year is supported by the Kuwait Naval Base and Ministry of Defense and is set to host more than 150 senior industry officials from the region and beyond. 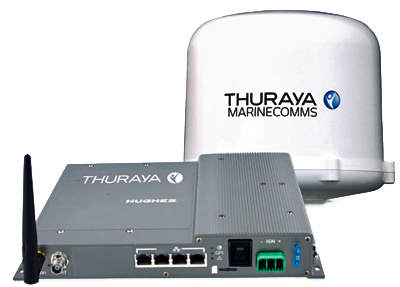 According to the company, Thuraya’s ‘at-sea’ devices are popular in the maritime markets of the GCC and surrounding Arab countries. The company’s display at OPV includes various marine-centric data terminals such as the Atlas IP, Orion IP as well as Thuraya Seastar which was launched earlier this year. Fahad Kahoor, Thuraya’s Director of Market Development, said that OPV Middle East is among the company's most prominent yearly exhibitions as the firm is able to engage directly with senior naval officials and coast guards at this event. Thuraya has solid depth of experience in delivering solutions to the region’s maritime and defense sectors and is eager to showcase how the company's upgraded offerings meet the current requirements on patrol vessels for the surveillance and security of coastal borders and territorial waters.